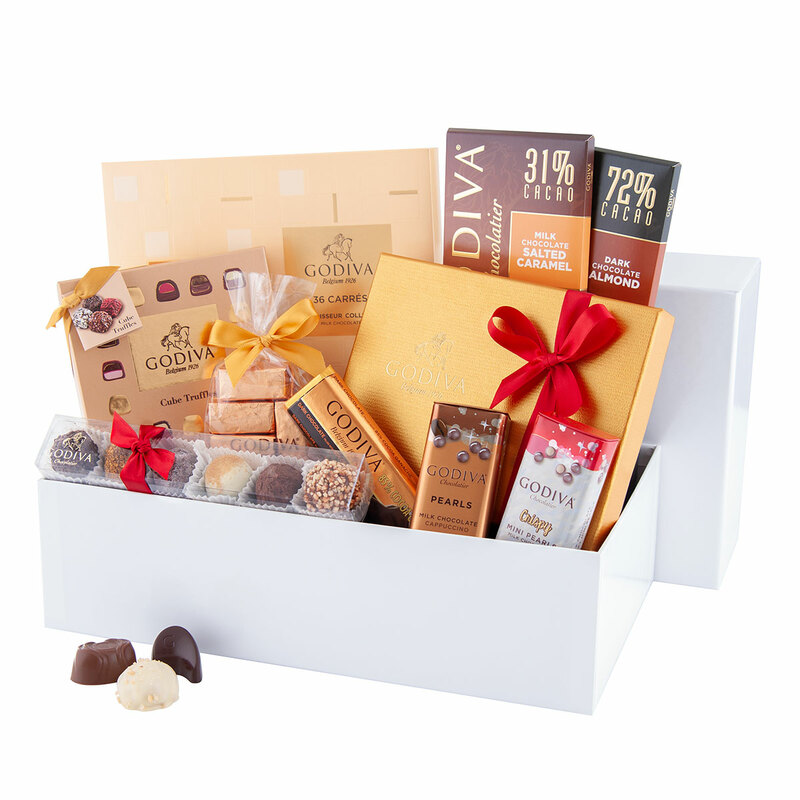 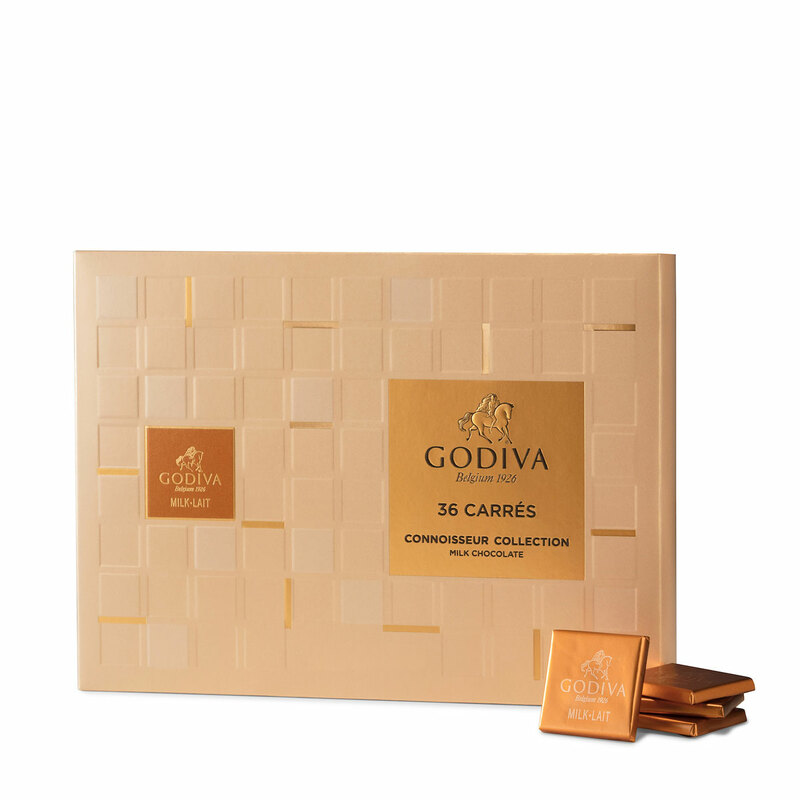 This white, luxurious Godiva gift box, is the ideal gift for those who love black chocolate as well as milk chocolate: 36 Milk squares, a tablet 72% dark chocolate with almonds and a tablet milk chocolate with salted caramel. 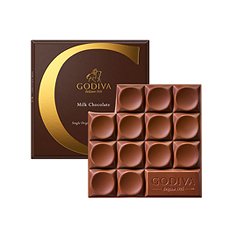 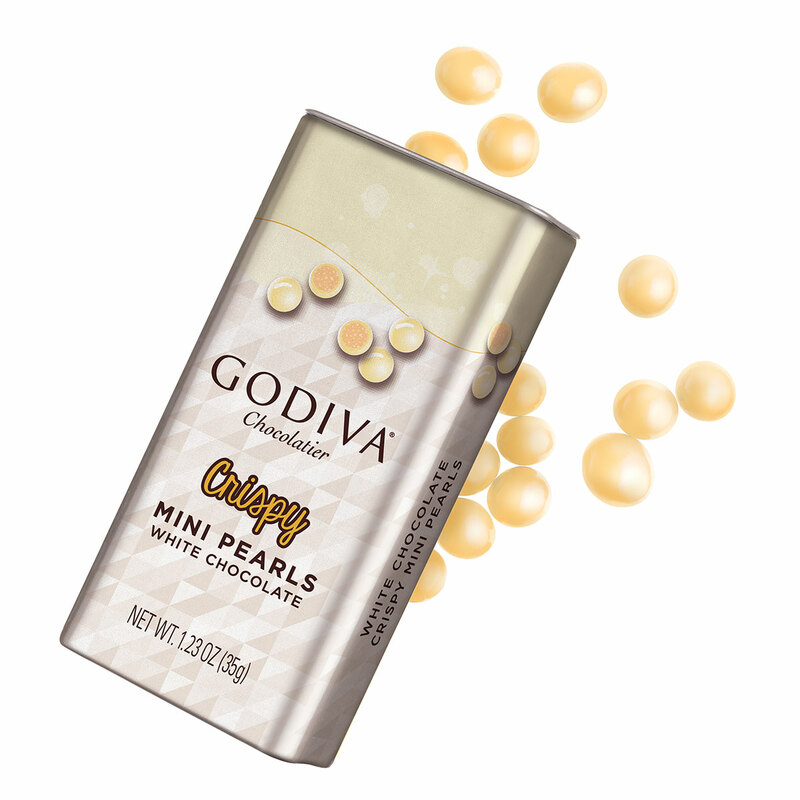 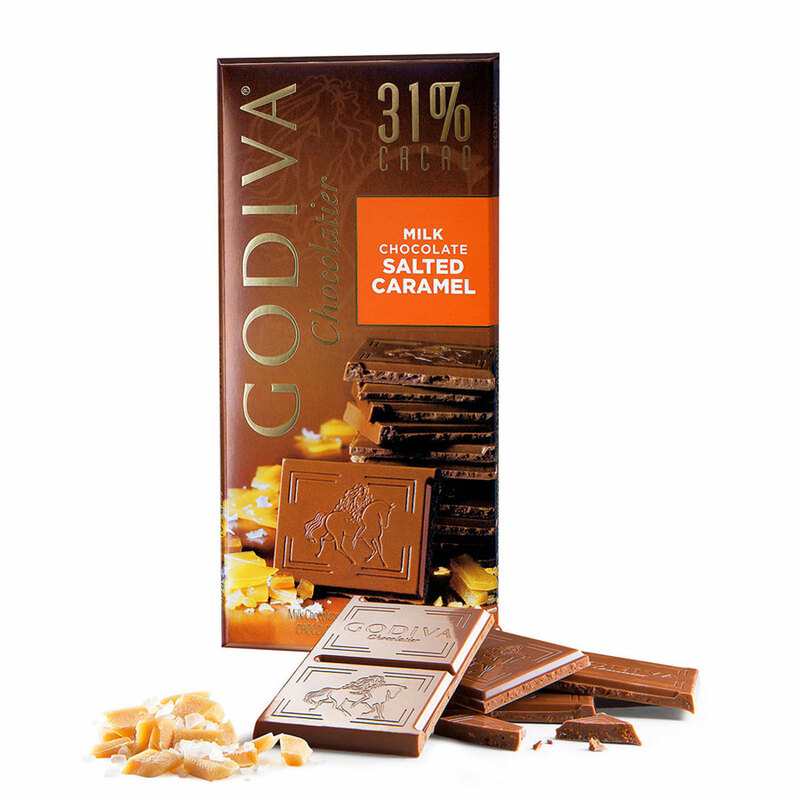 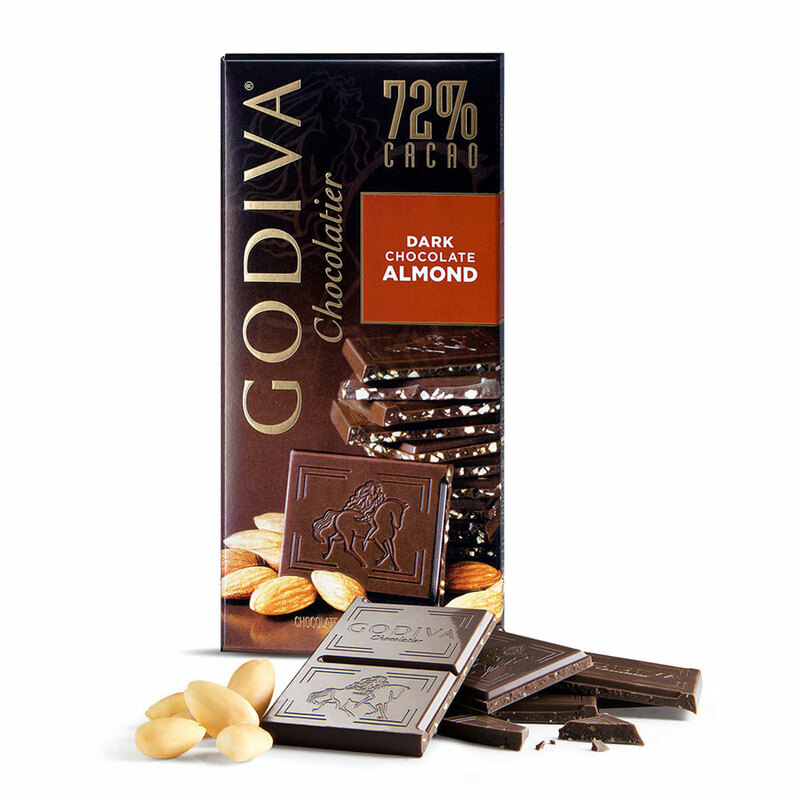 Do you not get enough of the superior Godiva chocolate? 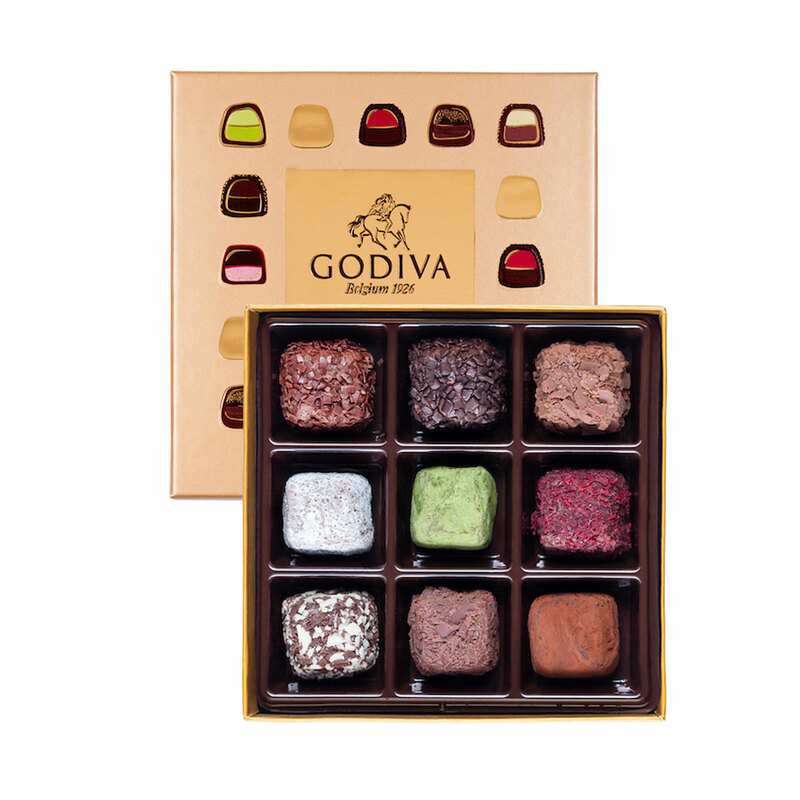 Then Godiva adds a little extra! 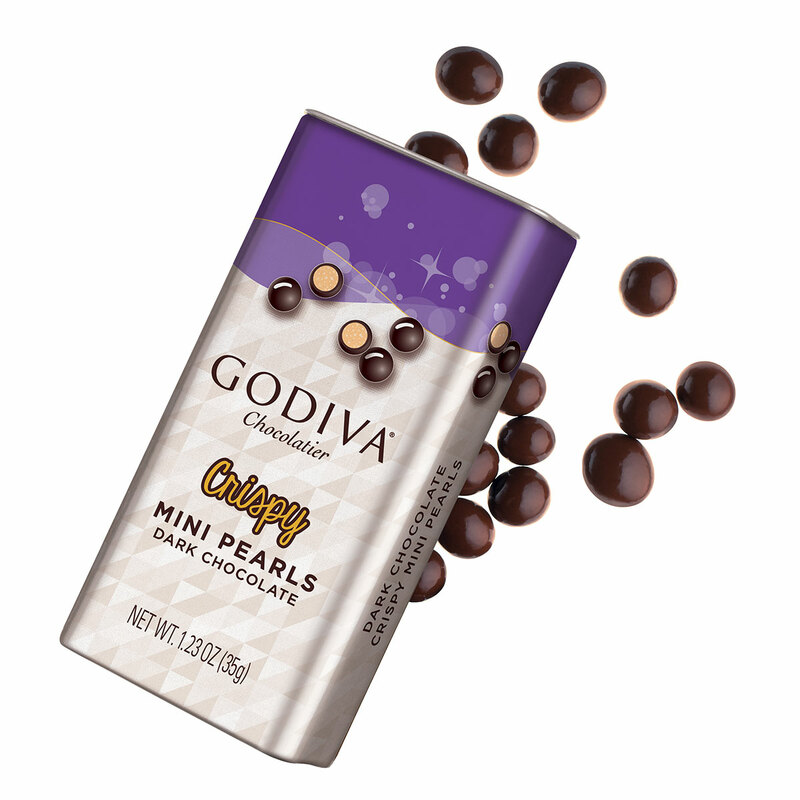 This extraordenary gift also contains a 85% dark chocolate bar with dark ganache and crunchy dark and white chocolate pearls. 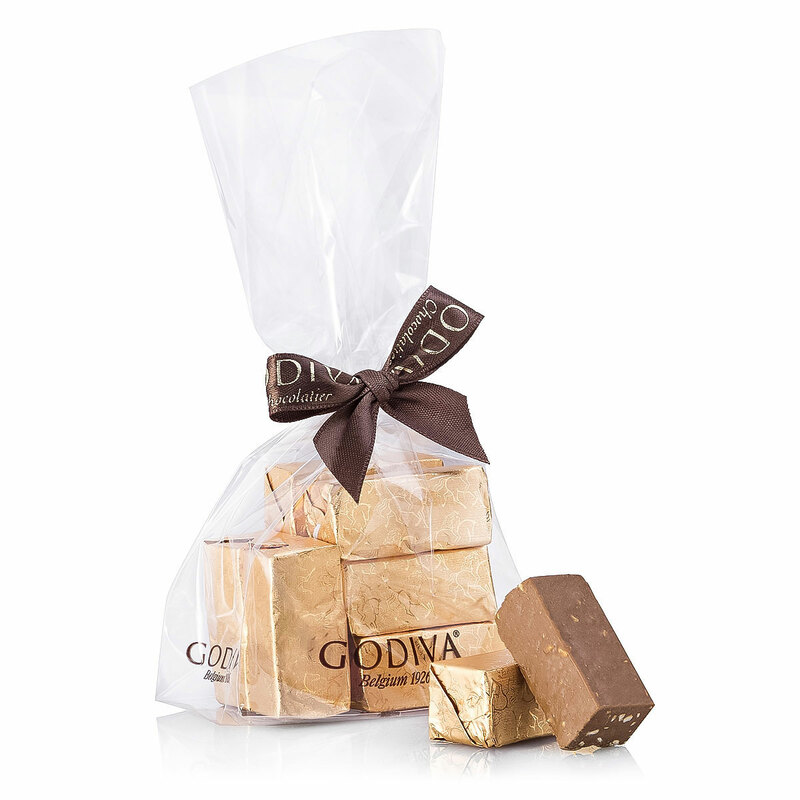 The loyal classic Gold Rigid Box, offers you an assortment of dark, white and milk chocolate. 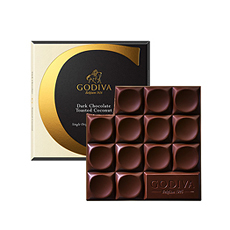 Go on a discovery and taste all the intense flavors! 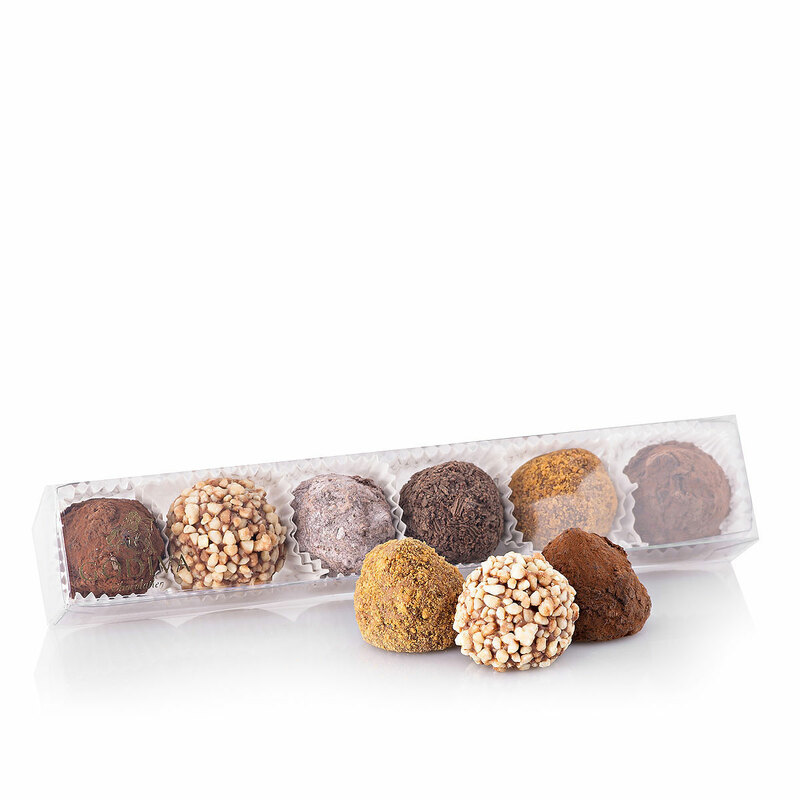 Godiva's delicious new Cube Truffles offer a fascinating multi-layer taste experience for real chocolate connoisseurs. 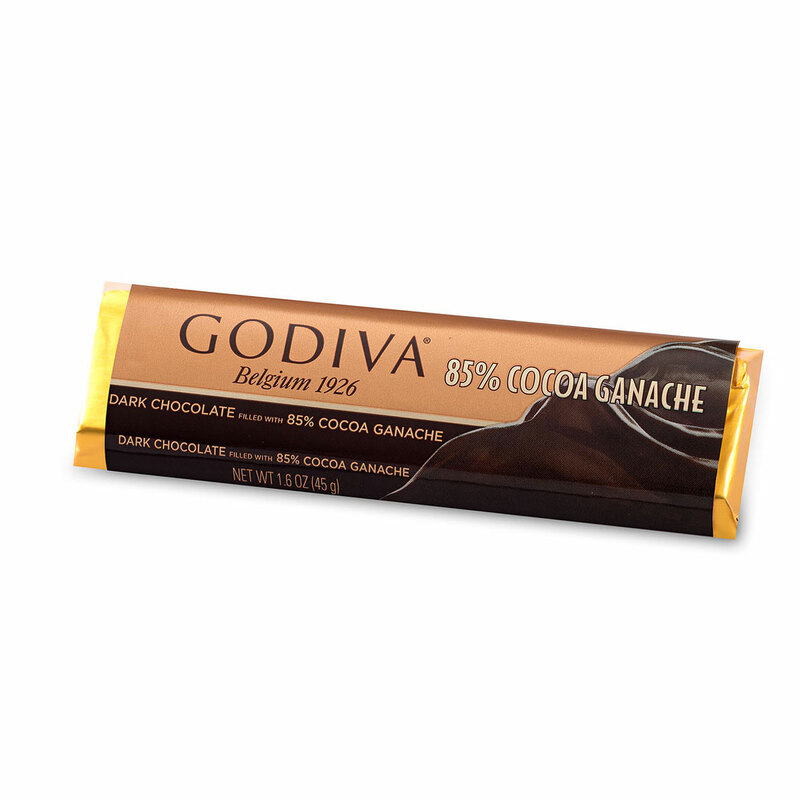 Ingredients: Sugar, Cocoa mass, Full cream milk powder, Cocoa butter, Vegetable oil (Palm, Palm kernel), Glucose-Fructose syrup, Cream, Humectant (Glycerol, Sorbitol syrup), Butter oil, Almonds, Cocoa powder, Raspberry, Hazelnuts, Butter, Green tea powder, Starch, Sweetened condensed milk, blackcurrant solids, Fat reduced cocoa powder, Emulsifier (Soy lecithin), Flavouring, Full cream milk, Black currant juice concentrate, Raspberry juice concentrate, Salt, Rice flour, cranberry solids, Skimmed milk powder, Wheat starch, Honey, Natural Vanilla.